Shelf talkers are small signs or tags that attach to your pharmacy's shelf strip or ledge. 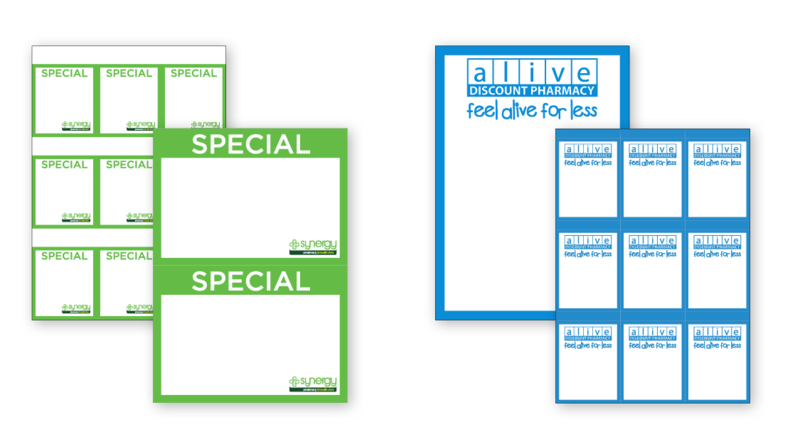 Shelf talkers are an effective way to attract customers and communicate special deals, offers or pharmacist recommended profucts within the pharmacy. We can produce shelf talkers in any format to suit your needs with a variety of stock options available.